Parabens are in thousands of products (cosmetics, foods, drugs) and, at low levels, in the vast majority of consumers. Now scientists report for the first time that the antimicrobials are also showing up in the tissues of marine mammals, including dolphins, sea otters and polar bears. Their results appear in ACS’ journal Environmental Science & Technology. An analysis by the Centers for Disease Control and Prevention already found that most people whom they tested had detectable levels of parabens in their urine. And humans aren’t the only ones getting exposed. As products containing these preservatives wash into the sewage system, they can be released into the environment. An American researchers' team wanted to find out whether marine animals were accumulating parabens in their bodies, too. The researchers analyzed 121 tissue samples from eight species of marine mammals from the coastal waters of Florida, California, Washington and Alaska. 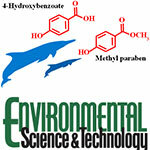 They detected methyl paraben in many of the samples. A metabolite of methyl paraben called 4-hydroxybenzoic acid (4-HB) was in every sample. The levels ranged from trace amounts of methyl paraben in polar bears to tens of thousands of nanograms of 4-HB per gram of tissue in some dolphins and sea otters. The metabolite also occurs naturally in plants, but the scientists say the positive correlation between methyl paraben and 4-HB in samples suggests they come from synthetic sources. They add that further research is needed to determine what potential health risks these substances might pose to marine animals. . Previous researches had shown that parabens and their by-products can act like oestrogen in animals.